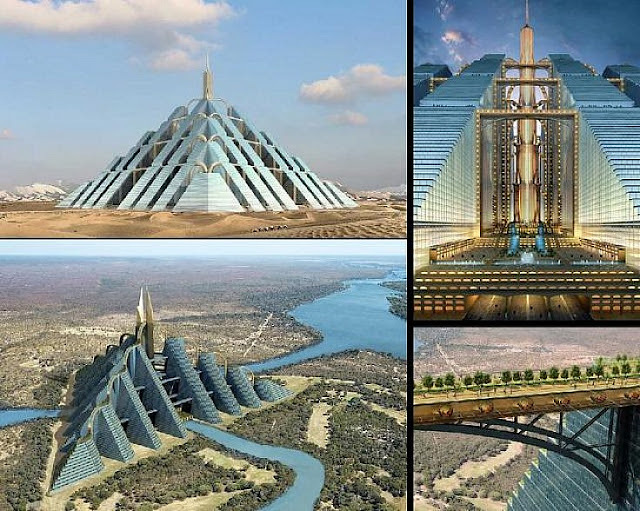 The structure called Ziggurat will house nearly one million people and will be self-sustainable with all natural-energy sources. Like the pyramids of the Mayans and Egyptians. it will cover 2.3 square kilometers.The building also boasts an efficient public transportation system that will run horizontally and vertically. The pyramid Will House One Million People.